1 Connecticut, Deaths and Burials Index, 1650-1934, Death record for Annie Payne Cogswell, Ancestry.com (Online Database). 2 Federal Census, CT, Windham County, 1850, Plainfield, Image 60 of 66, Ancestry.com (Online Census Images). 3 New England Ancestors Magazine, 2002, Vol. 3.5, p. 35, New England Historic Genealogical Society (Online Database). 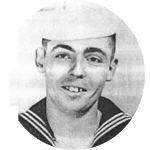 4 Roberts, Gary Boyd, "#48 Royal Descents, Notable Kin, and Printed Sources: The Ancestry of Novelist Thomas Pynchon", (accessed 11/28/2018), New England Historic Genealogical Society (Online Database).